SALE : blk and Shopee are having a Blast to the Past with their new Anniversary collection! 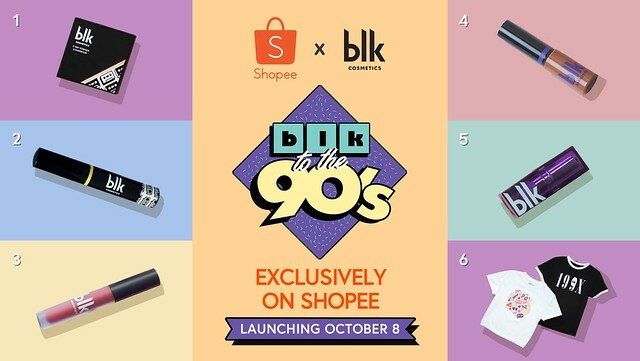 Shopee and blk Cosmetics has something new brewing for us this October! In celebration of local beauty brand blk's first year anniversary, blk is having an exclusive launch of their latest collection, 'blk to the 90's '. 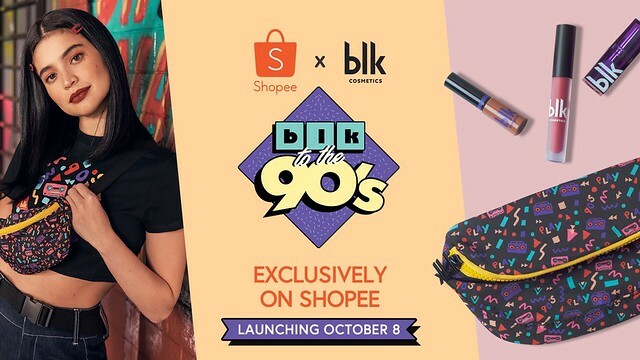 On October 8 at 12:00MN, users can be one of the first in the Philippines to get their hands on the 90’s themed collection via the blk Official Store on Shopee. From the looks of the things blk is hinting on, these new items will definitely be bringing us back to memory lane! For another celebratory treat, users also get the chance for an up close and personal with Anne Curtis at a special meet and greet session organised in collaboration with Shopee. Five lucky winners will walk away with items from the blk to the 90s products collection, and have the opportunity to attend blk Cosmetics’ blk to the 90’s launch party and meet Anne in person.